Congratulations Three Counties Church on your 50th birthday!! You hold a very special place in our hearts. It was around 32 years ago that Carly and I moved to Haslemere and lived in Anchor Cottage on Lower Street. commitment just a few months before coming to Haslemere. She was instantly made to feel welcome at the church. Carly was baptised at 3 Counties shortly after arriving there. Sadly I was not present. I was not so sure about this church and decided to go to the Anglican Church in town which at the time was not very inspiring. Through Carly I met socially some lovely people at Three Counties – who I now know were praying for me. After a period of time, on alternative Sundays I went to church with Carly and the children. What a contrast to what I had been used to. I loved the singing, but what so interested me was what was preached. The speakers always seemed to be speaking directly to me. 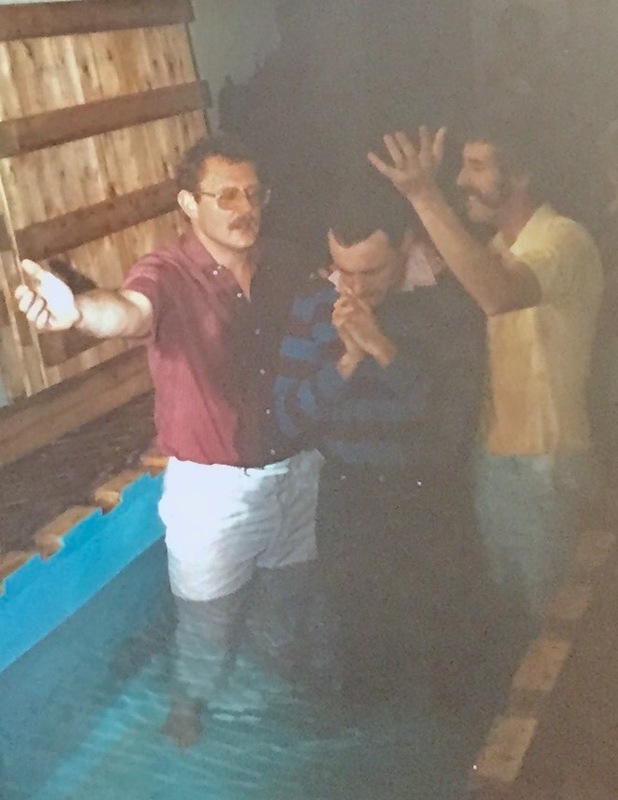 Ironically it was one Sunday in November 1986 when a visiting speaker came that I was convicted of my sin and in a weeping mess on my knees asked for forgiveness and for Jesus to be my Lord and saviour. I had so much to learn – God had to deal with a lot of issues in my life – He still is! I was baptised at the church by Derek and Tony (pictured above). Carly and I, along with others, led the Youth Group in the church (pictured below) until we left for Cornwall in 1991. 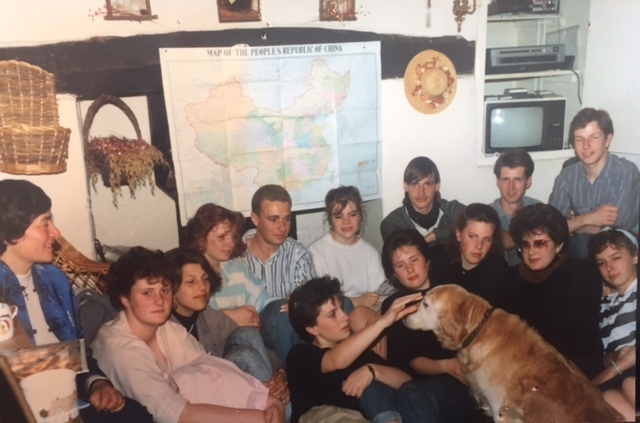 We used to turn our cottage upside down on a Sunday night to accommodate up to 20 teenagers some of whom have gone on to do some great things in the church and secular world. 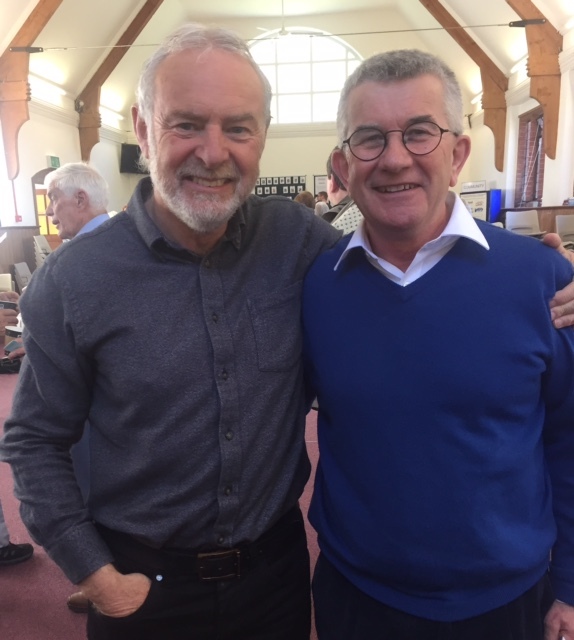 I began to spend more time with the leadership of the church and learned so much from them. Twelve years ago I was asked to Pastor the little church that we attended in Wadebridge Cornwall. was reluctant to do this at first but eventually realised that it was God’s calling and through the grace of God the church has grown to around 120 now which is large for our county. It is a classical Pentecostal church and it is always such a thrill to see New Birth in the church. Many people at Wadebridge Christian Centre owe much to the dear souls at Three Counties who walked beside and counselled Carly and me as new Christians. We love you and thank you with all of our hearts for your faithfulness, love and example to us.